Tartar sauce is based on either mayonnaise (made from egg yolk, mustard or vinegar, oil) or aioli (made from egg yolk, olive oil, garlic, lemon juice), with certain other ingredients added. In the UK, ingredients such as capers, gherkins, lemon juice and dill are added. 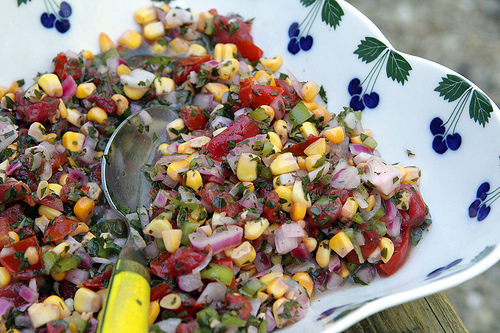 US recipes may include chopped pickles, capers, chives and fresh parsley. Chopped hard-boiled eggs or olives are sometimes added, as may be Dijon mustard and cocktail onions. The sauce can be served with Batter-fried Calamari Rings, Best-ever Batter-fried Fish, Prawn Tempura (Batter-fried Prawns), Tuna Fish Cakes, etc. Combine the ingredients for the tartar sauce in a mixing bowl. Transfer the sauce to a serving dish, cover and refrigerate until ready to serve. This recipe is perfect for those wanting to prepare dinner ahead of time, without spoiling the fillet. All the cooking is done in advance and the sauces may be varied. See the recipes for Creamy Mushroom Sauce below which is equally tasty. Cut the fillet into 8 sections, allowing a little more length on the narrower section. Turn the portions onto the cut sides and flatten with a mallet to an even thickness of about 20 to 25 mm. The fillet slices will become slightly thicker during frying. 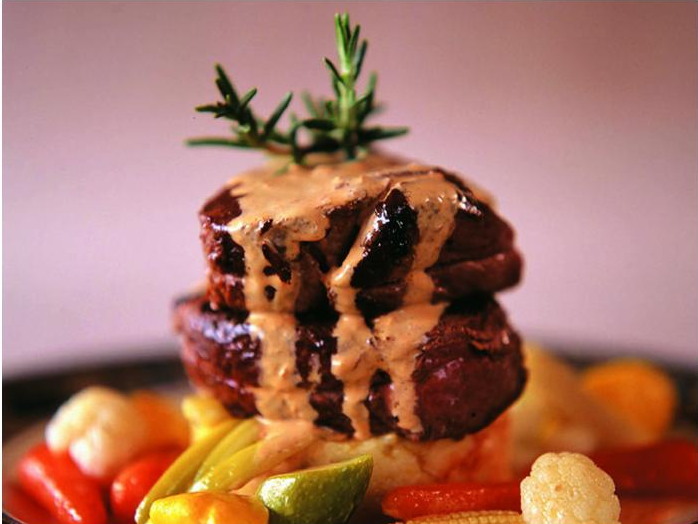 Tie a food tie around each piece of fillet so that it can keep its shape. Heat half the oil and half the butter in a large heavy-based saucepan and heat well. Fry half of the slices for about 3 minutes on each side to seal and brown well. Do not cook any longer if rare or medium rare meat is preferred. If well-done meat is required, cook another 2 minutes on each side but not longer, for the meat will continue to cook slightly when kept warm or reheated. Place the meat on a rack in a glass or tupperware dish in order for the meat juices to drain. The reserved liquid can be added to the sauce (see recipe below). Wipe the pan clean and do the same with the rest of the slices. Sprinkle the meat lightly with salt and pepper and arrange the pieces slightly overlapping in a deep serving dish which will hold the meat and the sauce. Cover the dish with a lid or clingfilm and refrigerate until ready to re-heat. The meat can be refrigerated for several hours or up to a day before serving. When ready to re-heat, arrange the meat in a deep serving dish which can hold the meat and the sauce. Stir any juices that collected at the bottom of the dish into the sauce before adding the sauce to the meat in the dish. Re-heat the meat and sauce by covering the dish with a lid or foil and heating it on a hot tray for 25 to 35 minutes or until the sauce starts to bubble or place the dish in a pre-heated oven (160 º C) for 20 minutes until heated through and bubbly. 8 servings/125 g per person. Heat the butter in a medium saucepan and remove from the heat. Stir in the cake flour, lemon juice, sherry, cheese, tomato paste, cream and stock powder to make a smooth paste. Return the saucepan to the heat and gradually beat in the liquid to form a smooth, thickened sauce. Simmer for 3 minutes, season to taste with salt and black pepper and pour over the meat. Heat the butter in a medium saucepan and stir-fry the mushrooms, onion or leek and garlic over a medium heat for 5 to 8 minutes or until tender but not browned. Combine the flour, herbs and stock powder in a small mixing bowl and add a little milk at a time while stirring to prevent lumps. Add the rest of the milk and mix well. Add the milk mixture to the mushroom mixture and bring to the boil, stirring continuously. Stir in the additional milk or cream and sherry, if used. Bring to the boil and simmer for 2 minutes. Season to taste and if making the sauce with the fillet (recipe on previous page), add any meat juice to the sauce and mix well before transferring the sauce to the serving dish with the fillet. Alternatively, transfer the sauce to a gravy boat or alternative container. Recipes by Carolié de Koster from the Art Of Cooking recipe book p. 223 & 224. There can hardly be a more delightful seafood cocktail than cooked cold fish, prawns or seafood tossed with this special sauce. Also see the recipe for Avocado Ritz. Combine all the ingredients and adjust the seasoning to taste. Recipe by Carolié de Koster from the Art Of Cooking recipe book p. 483. This sauce is very versatile and will not last long, so you might want to double the recipe! Heat the oil in a large saucepan and stir-fry the onion, apple, garlic and tomato until cooked – about 5 minutes. Add the rest of the ingredients and simmer on a low heat until reduced. Serve with braaied meat, pasta, etc. Add 250 g sliced mushrooms. Recipe adapted from Gabi Steenkamp’s Barbeque Sauce. Sauce is a French word taken from the Latin salsa, meaning salted. A sauce is essentially flavoured liquid plus thickening agent. By varying the combination of liquid, flavouring and thickening agent, the possibilities are endless. Sauces are not normally consumed by themselves; they add flavor, moisture, and visual appeal to another dish. As Julia Child, the late American chef and cookery teacher, eloquently summed it up: “Sauces are the glory and splendour of French cooking”. Scroll down to see Julia’s tips for making perfect sauces. Be sure to read my post on The Hundred-Foot Journey for a foodie movie must see! Classic French cuisine features five mother sauces that can be enhanced with spices, herbs, meat, vegetables, and more to be made into innumerable other sauces. 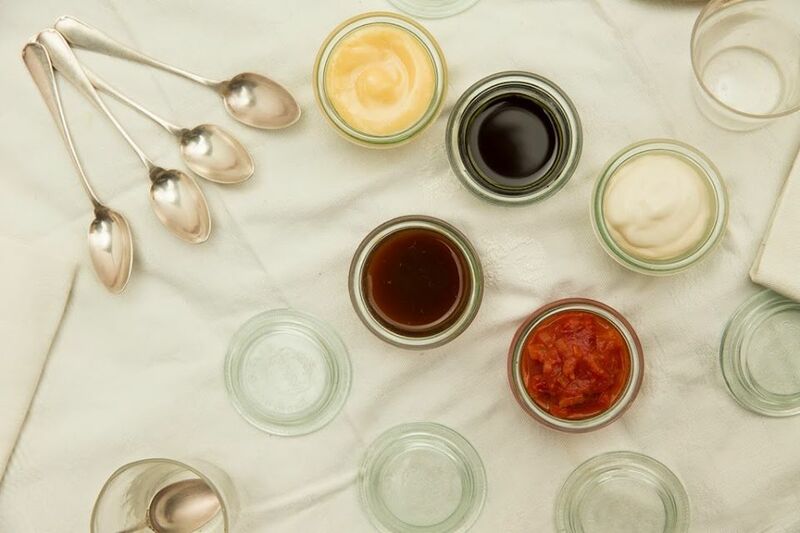 The five sauces are: Béchamel, Espagnole, Velouté, Hollandaise and Tomato and they differ based on their main ingredient and thickening agent. These fundamentals either begin with a roux, a stock, or a combination of the two. Roux (“roo”) is used in 3 of the 5 mother sauces: Béchamel, Espagnole and Velouté. Heating equal parts in weight of flour and fat (usually butter) will produce white roux (5 minutes), blond roux (20 minutes) or brown roux (35 minutes). The darker the Roux, the nuttier the flavour. The smooth, classic white sauce is made from cooking butter and flour together, then whisking in some milk. Its thickness depends on how much milk is added: the more milk, the thinner the sauce. Béchamel forms the basis of a wide variety of other sauces. It is usually served with white meats, eggs, fish, pastas (cream sauces) and vegetables. Pasta such as Lasagne and Cannelloni, mushrooms, vegetables, steamed or poached poultry. 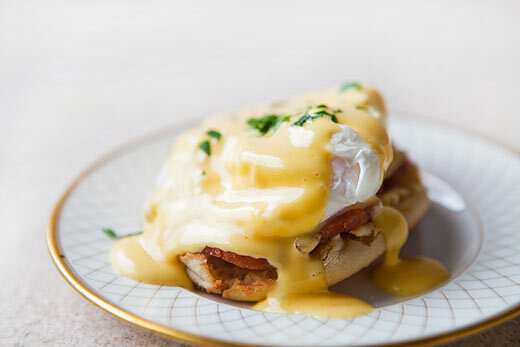 Hollandaise is an emulsification that uses butter and egg yolks as binding. It’s that lusty, pale lemon-colored sauce. A derivative of hollandaise is béarnaise sauce, which is most often served with steak. It is usually served with eggs (Eggs Benedict), steamed asparagus, grilled salmon, and lightly poached poultry. Veloute is a stock-based white sauce that can be made from chicken (most common), fish or veal stock thickened with white roux. It’s made similar to a béchamel, except in this case, stock replaces the milk. It is usually served with hearty chicken dishes, vegetables, pastas and veal dishes. Raw tomatoes, tomato paste, stewed tomatoes and tomato puree are all common in making a traditional tomato sauce. A roux is traditionally used in making a tomato sauce, but many chefs skip it because the tomatoes themselves can be thick enough to hold up the sauce. It is usually served wtih pasta dishes, fish, veal, chicken dishes, vegetables and polenta. Espagnole is the common brown sauce made with a roux and brown stock, and is the basis of Bordelaise sauce (the one made with red wine, shallot, bay leaf and thyme). It is usually served with roasted meats like beef, duck, lamb and veal. Reduce sauces to increase flavor. To reduce a sauce, simply cook it over a low heat in order to evaporate water from the pan. 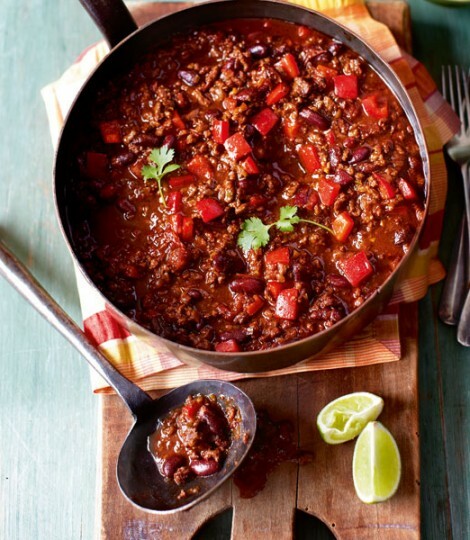 As the sauce simmers, the volume decreases but its intense meaty flavor will remain, certain to complement your dish. Deglaze your pan to capture the richest flavors. After sautéing aromatic vegetables or searing meats, begin the sauce by adding wine, juice, or stock to the sauté pan. This releases the sweet browned bits of food from the pan and into the sauce. Spike up the flavor. Acid ingredients such as wine, vinegar, and citrus juices are used to bring out full flavors that may be otherwise hidden in a heavy sauce. A touch should bring a flat sauce to life, but the heavy-handed will suffer from too much tang. Adjust salt just before serving. Masked by water, fiber, and other naturally occurring flavors, salt tends to hide within many basic ingredients. As a sauce reduces and its flavor becomes more intense, so does its salt content. Rather than adding salt while starting a sauce, sprinkle it in at the end to make sure you don’t end up with an unpalatable disaster. Use fresh ingredients. From meat to stock, from vegetables to wine, use only products that look, smell, and taste good on their own. While fine wines may be overkill in a sauce, make sure your cheaper alternative is drinkable before committing it to the pot. Thicken sauces as naturally as possible. If there’s enough protein in your stock, reduction alone may give your sauce the body it needs, but at times you’ll need to look elsewhere. Avoid using cornstarch where possible, as it creates an undesirable sheen and feel. Try vegetable purees instead. Flour slurries or roux are the next best option. Allow your sauce time to grow. Make your sauce in advance and hold for a few hours under refrigeration prior to serving, allowing flavors to meld together and bloom. Sharp acids often calm down and aromatics and spices intensify, leaving you with a complex, flavorful sauce just like you’ve tasted in restaurants. Finish sauces with delicate flavors just before serving. Toss in a little pat of butter, a hint of truffle oil, or a handful of fresh herbs just before your reheated sauce is ready to plate, giving it one last kiss of personality as it heads to the dining room. 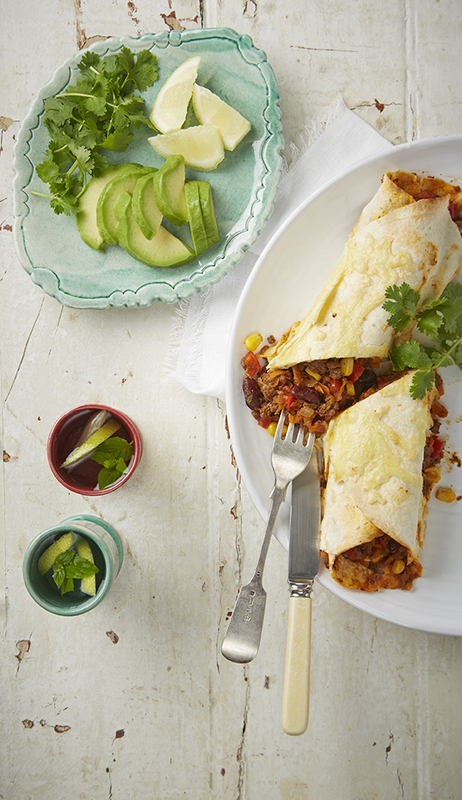 A most delicious and savoury mince to use as a filling for vetkoek or pancakes or a topping for pasta. Place the meat, onion and garlic into a saucepan and stir-fry over moderate heat until the meat is loose and crumbly and lightly browned. Add the flour and stock powder and stir-fry 2 – 3 minutes more. Add the water, tomato sauce, chutney, Worcestershire sauce, herbs and barbecue spice and bring to boil, stirring until evenly combined. Reduce the heat and simmer partly covered or covered with a special perforated lid for about 20 minutes or until the sauce has thickened and the meat is tender. Adjust seasoning and serve as a filling for “vetkoek”, jaffles or pancakes. * The flour and beef stock powder can be substituted with 50 ml Instant Brown Gray Powder Mix. The gravy powder mix is a successful shortcut to produce a shiny and thick brown gravy with a lovely flavour. It may be used on it’s own or to moisten and enrich stews or meat dishes. To adjust the consistency, use more or less sauce powder than recommended below. Place the ingredients in a large bowl and mix very well until all is evenly combined. Spoon into screw top jars and store airtight for several months if necessary. 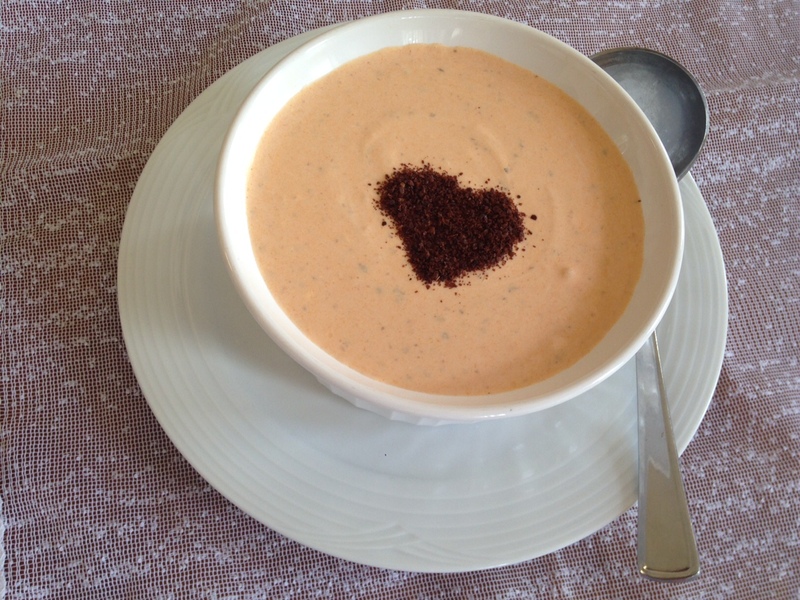 To make a flavourful brown gravy in an instant, blend 30 ml gravy powder mix with 250 ml water. Add to a saucepan, bring to boil, stirring and simmering 3 minutes. Alternatively, mix the gravy powder mix and water in a jug suitable to microwave and cook on HIGH for 1 minute. Beat well and microwave on MEDIUM until the sauce thickens and starts to bubble. Beat well. Serve as a dip with crusty bread, fresh vegetables such as broccoli or cauliflower broken into florets or carrot and celery cut into julienne strips. 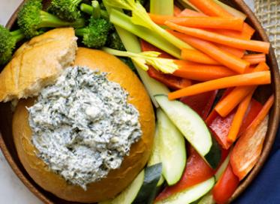 For special appeal, spoon the Tzatziki into a hollowed bread roll and serve with the raw prepared vegetables! Place the cucumber into a fine sieve over a bowl to drain well. Line a colander with a double layer of porous kitchen cloth and pour the yoghurt into the colander. Drain for about 10 – 15 minutes or until a good thick consistency is obtained. Add the yoghurt and garlic to the cucumber and mix well. Season to taste with salt and white pepper, cover and chill well. Sprinkle with black pepper before serving and garnish with fennel sprigs or mint . Makes 500 ml dip or 10 to 12 servings. 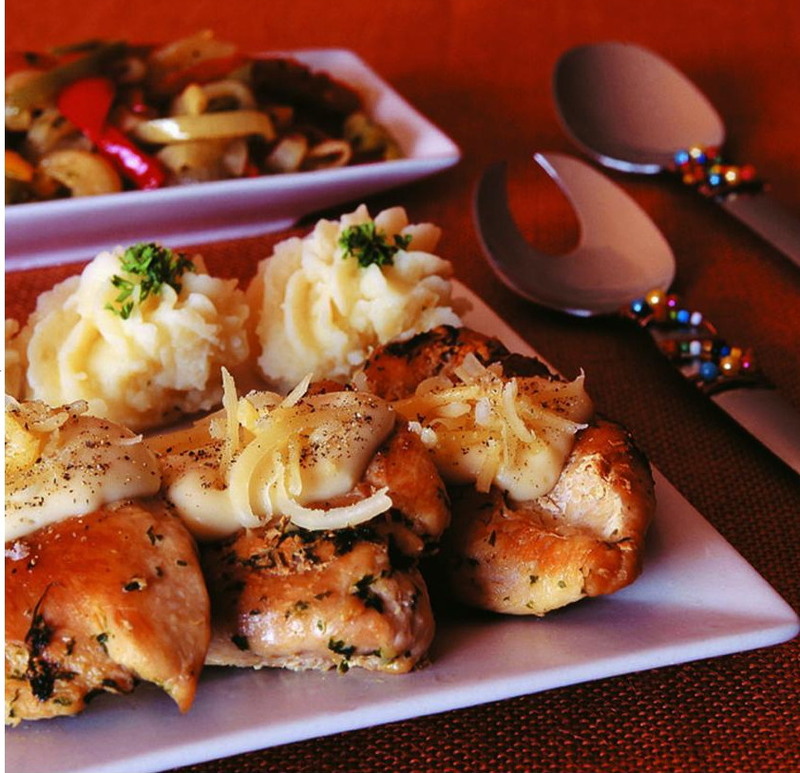 Crispy, flavourful chicken breasts which look very different and elegant and is no trouble to prepare. A cheese sauce will round off the meat perfectly. Beat the chicken breasts with a mallet to create a neat flat shape and become about 1.5 cm thick. Combine the oil, lemon juice, salt, pepper and parsley and coat the breasts with this mixture. Marinate in the refrigerator at least 1 or up to 24 hours, turning from time to time. Pour enough oil into a large shallow saucepan to cover the base of the saucepan comfortably with a thin layer of oil and heat to moderately hot.Coat the moist marinated breasts well with flour. Dip the breasts into lightly beaten egg and fry over moderate heat about 5 minutes on a side until golden and crisp and cooked through but not dry. Drain on absorbent paper, arrange slightly overlapping onto a serving platter and surround with boiled new potatoes and lightly cooked vegetables or any colourful rice combination. To make the cheese sauce, place the butter into a saucepan and stir until melted. Add the cake flour and mix well. Remove from the heat and beat in liquid with a whisk. Bring to boil while stirring until a smooth thick sauce is obtained. Remove the saucepan from the heat and add the cheese. Taste the sauce before adding salt and black pepper. Spoon the piping hot sauce over the centre part of the meat just before serving and garnish with parsley. This sauce is a great accompaniment to beef, pork, chicken or fish dishes. Melt the butter in a medium saucepan and stir in the cake flour, curry powder and reserved syrup and water mixture away from the heat. Cook on a medium heat until thickened. Stir in the sultanas or raisins, vinegar and pepper and simmer gently for 5 minutes. 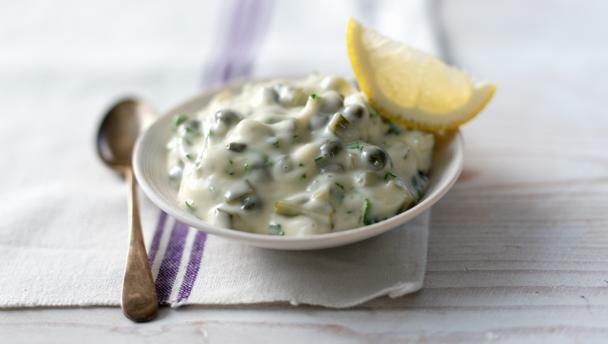 A classic condiment used in French and Cajun cooking, rémoulade is a tangy, mayonnaise-based sauce made with Dijon mustard and capers. Other ingredients, including anchovies and tarragon, are often added as twists on the traditional recipe. It is similar to tartar sauce and is traditionally served with seafood like prawns, crab cakes and fried fish. 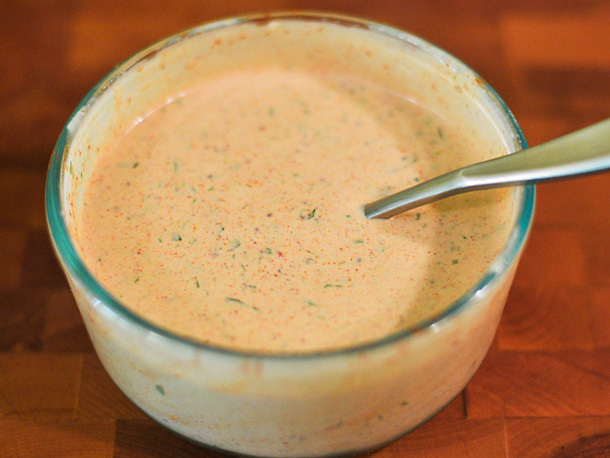 Louisiana-style remoulade starts with a mayonnaise base as well, but the addition of tomato sauce (ketchup), paprika and tabasco (hot sauce) gives this creamy, tart, and spicy sauce a pinkish colour. To make the remoulade, combine the ingredients in a medium mixing bowl and set aside for 1 hour for the flavors to develop. Serve immediately with fried green tomatoes or seafood or cover refrigerate until ready to serve. A tasty and nourishing topping or filling for sandwiches. Mix the ingredients together – the paprika and spring onion can either be used as garnish on top or mixed into the topping for flavour and colour. Recipy by Carolié de Koster. 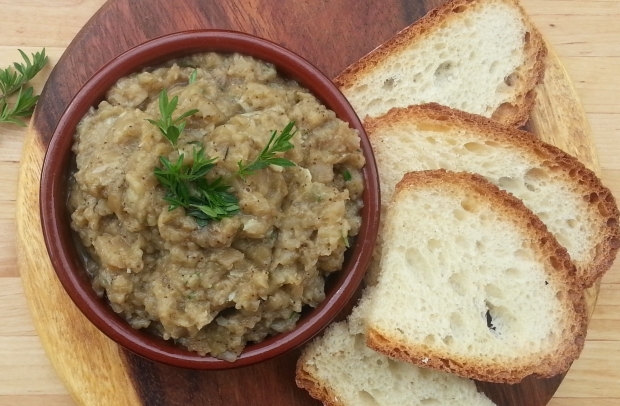 A dip or topping filled with flavour and nourishment for high days and holidays! Serve on pikelets, crackers, toast or with vegetable sticks. OR serve as is typical in the southern American regions, spooned into a bowl and surrounded by fruit such as grapes, sliced pears, apples or bananas on cocktail sticks. Preheat the oven to 160°C. Scatter the almonds or chickpeas onto a baking tray and bake 6 – 8 minutes until toasted to a light golden brown colour. Take great care not too brown them too much. Place all the ingredients in a food processor and process until smooth. Use as a topping or once refrigerated the mixture will become firm enough to shape into a dome on a serving platter. Very elegant sprinkled with more flaked and toasted almonds and surrounded by the crackers and fruit.